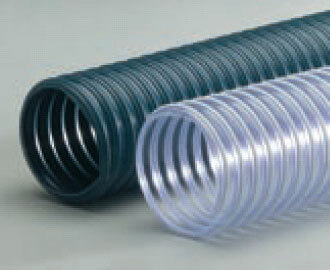  Reinforced with a spring steel helix for high abrasion resistance.  Suited for positive and negative pressures.  Smooth inner surface assures minimal pressure drop and friction loss.  Temperature range: 20ºF to 160ºF.